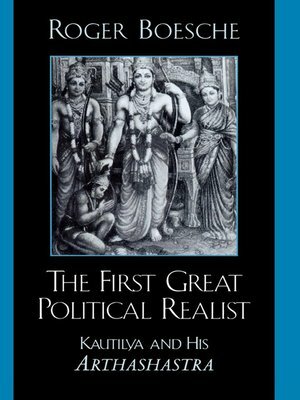 The First Great Political Realist is a succinct and penetrating analysis of one of the ancient world's foremost political realists, Kautilya. Kautilya's treatise Arthashastra stands as one of the great political books of the ancient world, its ideas on the science of politics strikingly similar to those of Thucydides, Machiavelli, Hobbes, Clausewitz, and even Sun Tsu. Roger Boesche's excellent commentary on Kautilya's voluminous text draws out the essential realist arguments for modern political analysis and demonstrates the continued relevance of Kautilya's work to modern Indian strategic thinking and our understanding of the relationship between politics and economics. Striking a balance between textual analysis and secondary scholarship, Boesche's work will be an enduring contribution to the study of ancient Indian history, Eastern political thought, and international relations.